Utilizing props is one of my GMing trademarks. I think it is a great way to spice things up and keep a story interesting for the players. Whether it’s a one-shot or a campaign you have run for years, props can help the players immerse themselves more fully into the game world and make events more memorable. However, before you add props to your game, ask yourself why you are doing it. Think about the type of game you are running. Are the players the type that would appreciate a little extra spice? 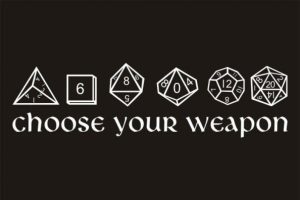 Are they already roleplayers who may just need a little something extra to inspire them? If you have doubts, you might want to bring it up to them first. There are some types of players (*cough* min-maxers *cough*) that won’t appreciate your efforts. If you think your players would benefit from them, consider the setting and tone of your game. What type of props will best serve your needs? Prop items from the story are easily used by the GM to influence the game. The easiest to make are paper items that the characters need, such as maps, letters, paintings and photographs. 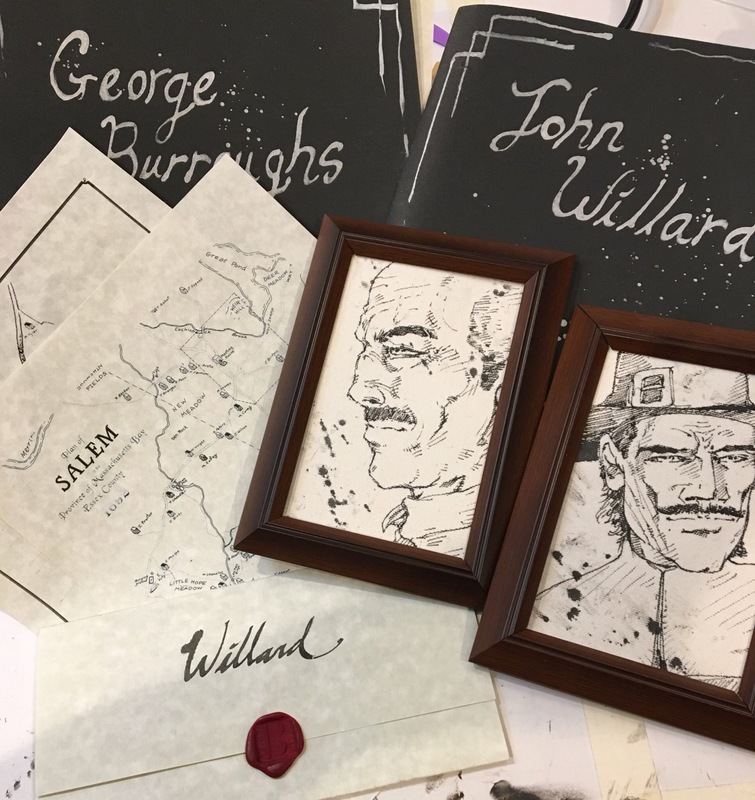 When I ran a game set in the Salem Witch Trials, I created individual letters for each character that served as their motivation for teaming up to save their town. They also had maps of Salem on parchment paper. Having a contract or wanted poster in their hands immerses the players in the story. These props are really easy to make with the help of a computer and some parchment resume paper. There are a variety of simple methods for aging paper using common household items if you are running a historical or fantasy campaign. Sealing wax or ink stamps are a fantastic touch to finish off important documents. Other items can also be used to move the story along and give the players information. Books, jewelry, crystals, potion bottles, and so much more! Use your imagination! I made wands and spell books for a Harry Potter game which kept the table lively and in character. It’s much more interesting for the players to study a real book for clues than to roll dice and have you describe what they notice. Once I used jewelry as a way for the party to identify each other as allies. It’s a great visual for them to reference during the game and then is a great souvenir for them after it is over. 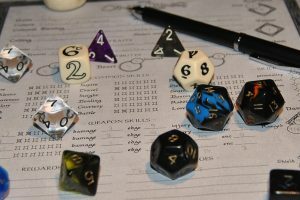 Decorating the table or your gaming room can be a great way to set a specific tone for your game session and it will help players get into character. I suggest starting with the lighting, because that will make the most difference to the vibe in the room. If your players are in a dungeon or if you are playing something like Vampire the Masquerade with a dark tone, turn down your overhead lights. Bring in some other light sources, like table lamps, so that the players can still read their character sheets. Buying colored light bulbs from your local hardware store is another great way to change up the look of a room without moving too much around. Decorate your table too! We were delighted when one of our players brought candelabras for our Vampire game. They became such a staple of our game that when we couldn’t burn candles anymore, we replaced them with cheap battery powered ones from the Halloween store. Small things like this can give a campaign some unique character and can be fun for the players. Providing themed refreshments makes the players very happy. It fills their bellies while also immersing them in the game world. The plates and cups you use to serve the food are also props. I often find myself holding my beverage of choice like my character would hold it, swishing or sipping a pewter mug or wine glass in character as well. There are many resources online with recipes from Star Wars, Lord of the Rings, Star Trek, A Song of Ice and Fire, and other fictional sources. 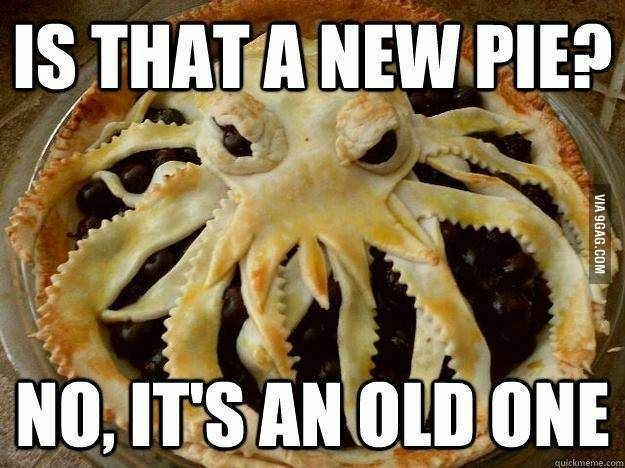 Historical foods are also a great way to add to a campaign. I highly suggest that you test and taste a recipe before serving it to your gaming group! I love costumes, but I am not always a fan of them around the gaming table. Individual items, such as a hat or elf ears, can be a great addition and help a player stay in character. I suggest talking to your group and starting slow. Really consider how each costume piece will add to the game. Goggles or glasses can add a chance for in-character mannerisms, like nervously adjusting them or cleaning them when they are thinking about something. A longsword may be entertaining the first session, but eventually it will probably end up leaning against the wall and forgotten. Full costumes can get uncomfortable or distracting during a game. Plus, why wear a full costume when you only see each other from the table up? Don’t sacrifice comfort and fun to look the part. 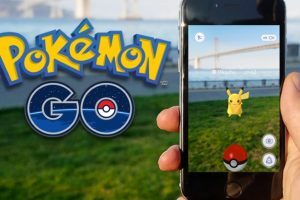 There are a number of online costume shops that can help find individual pieces for historical and fantasy games, as well as futuristic and science fiction games. I always suggest checking out your local thrift store or Goodwill before dropping a large amount of money online. I’ve put together whole costumes from second-hand stores. You never know what you will find! 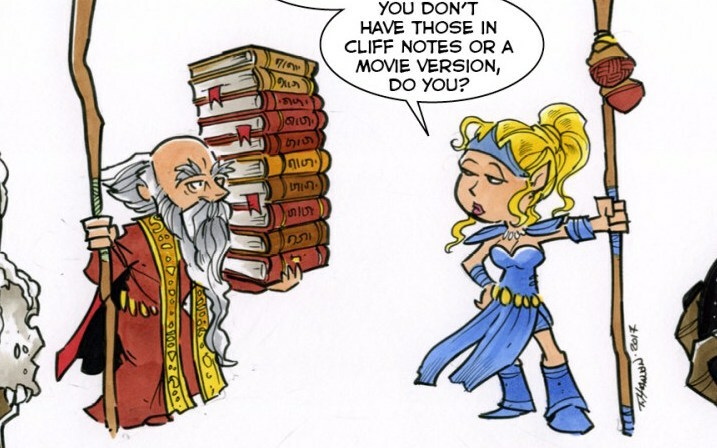 The most common prop in tabletop RPGs are minis. It’s easy to forget that these are props and that they really help with keeping the narrative clear for all the players. The Happy Jacks D&D campaign, Desert of Despair, really made me appreciate how much miniatures help the group visualize what is happening. Having actual spiders or giants to fight, instead of using paper clips or extra dice as stand-ins, can make a big difference. You don’t need to drop a fortune on specific minis for each combat, but using something that is about the right shape is always helpful. 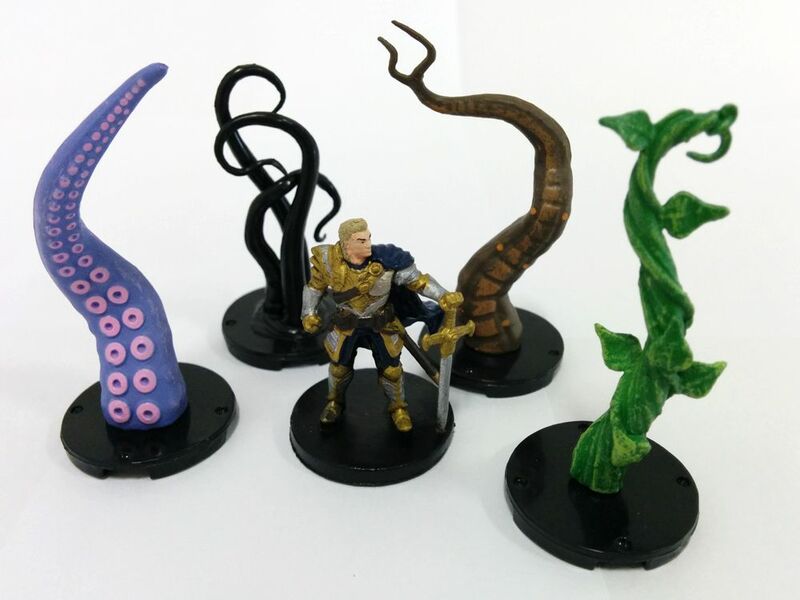 If you play D&D or other games that involve miniatures, consider building up a diverse collection of miniature foes for your players to face. Once you decide that you want to add props to your game, choose carefully! Not all props are created equal! It’s better to add one perfect prop than to drop tons of stuff on the party that will detract from the game rather than add to it. Props will not save a bad game, but if you use them wisely, they can be a fantastic way to add a little dramatic flair to a game. For 50 Fathoms, I had a stuffed crab plush hat with dangling stuffed claws, a pirate skull and crossbones pencil box, decks of pirate ship playing cards, and a Pirate Tshirt.